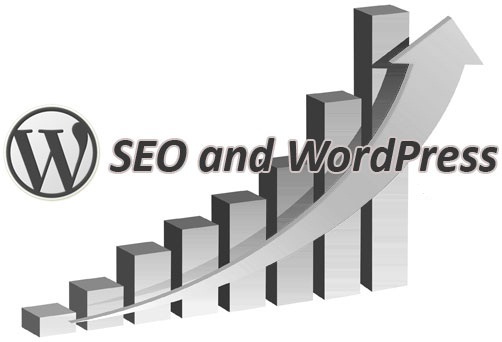 VodaHost is proud to offer a customized and highly SEO-optimized WordPress blog for your website. WordPress is an incredible, multi-award winning software; it’s given an unfair advantage to hundreds of thousands of the World’s biggest websites and the simple reason is – it is fantastic at what it does: Take the hard work out of building and optimizing a World-Class blog that sees incomparable success and airtime at the very top of the Search Engine Results Pages (SERPs). The VodaHost Ready-Made SEO Optimized Blog is pure Search Engine Spider food which’ll be gobbled at an unparallelled rate of indexation by the content-hungry bots. Its deliciousness to the Search Engines alone means more visitors, more custom and lots more money! The VodaHost Ready-Made SEO-Optimized Blog is the ultimate money making blog experience! Your installation of VodaHost’s Ready-Made SEO Optimized Blog is imperative to you as you create attractive content and optimize your pages for SEO because it provides you every single automated tool you get it done without very much work and the results are easy to see. Content is created, formatted effortlessly and optimized the same way with just a few clicks of your mouse. VodaHost will even provide your brand-new blog installation with yet another unfair advantage; five, 500-word, highly S.E.O. optimized articles featuring optimized keyword densities for your top three keywords all linked back to your home page – the perfect foundation for your SEO work! 9. Istallation and configurazation of Facebook, Google+1 and Twitter sharing buttons. 1. Q: What if I already have a WordPress Blog installed? A: No problem! We can optimize your existing blog for the Search Engines for you! 2. Q: What is WordPress? A: WordPress is an open source blog tool and publishing platform powered by PHP and MySQL. It’s often customized into a Content Management System (CMS). It has many features including a plug-in architecture and a template system. 3. Q: What is a blog? A: A blog (a blend of the term web log) is a type of website or part of a website. Blogs are usually maintained by an individual with regular entries of commentary, descriptions of events, or other material such as graphics or video. Entries are commonly displayed in reverse-chronological order. 5. Q: What is a plugin? A: A plugin is a set of software components that adds specific abilities to a larger software application. If supported, plug-ins enable customizing the functionality of an application. A: Search engine optimization (SEO) is the process of improving the visibility of a website or a web page in search engines via the “natural” or un-paid (“organic” or “algorithmic”) search results. Other forms of search engine marketing (SEM) target paid listings. In general, the earlier (or higher on the page), and more frequently a site appears in the search results list, the more visitors it will receive from the search engine’s users. SEO may target different kinds of search, including image search, local search, video search, academic search, news search and industry-specific vertical search engines. This gives a website web presence. 5. Q: What is an XML Sitemap? A: A Sitemap is an XML file that lists the URLs for a site and allows a webmaster to inform search engines about URLs on a website that are available for crawling. It allows webmasters to include additional information about each URL: when it was last updated, how often it changes, and how important it is in relation to other URLs in the site. This allows search engines to crawl the site more intelligently. 6. Q: What is Social Bookmarking? A: Social bookmarking is a great SEO tool; it’s a method for Internet users to organize, store, manage and search for bookmarks of resources online. Unlike file sharing, the resources themselves aren’t shared, merely bookmarks that reference them. For example, if you Share a piece of content on Facebook, a social bookmark is created to that piece of content and improves its S.E.O. This entry was posted in Blog, Google, hosting, Social Media Marketing, WordPress and tagged blog, SEO, wordpress. Bookmark the permalink. Great stuff, I always wanted a blog. Vodahost Rocks! I'm a wordpress fan as well. Page bookmarked. Excellent, thank you vodahost…im buying this now. Hi Brad i have WordPress i have website to i have Vodahost on it at the moment but just started with the website will this help me Rex. I think im going to have to give this a try. I love wordpress but the SEO aspect is tough to really get a grip on. Thanks. Howdy very cool site!! Man .. Excellent .. Amazing .. I will bookmark your site and take the feeds…I am satisfied to seek out so many useful info right here, thank you for sharing. . . . . . The information you provide is great. This web site really has all the information I wanted…. A powerful share, I just given this onto a colleague who was doing just a little evaluation on this. And he in reality purchased me breakfast as a result of I found it for him.. smile. So let me reword that: Thnx for the deal with! But yeah Thnkx for spending the time to debate this, I feel strongly about it and love reading extra on this topic. If attainable, as you turn out to be experience, would you thoughts updating your blog with more details? It is extremely helpful for me. Massive thumb up for this weblog publish!